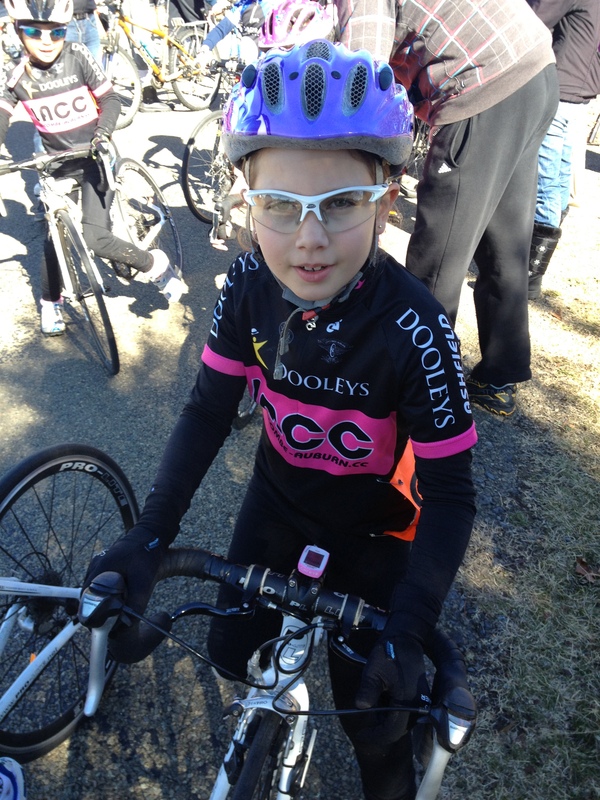 Eight year old, Ava Giramondo is a member of the youth development squad of my cycling club Lidcombe-Auburn Cycle Club (LACC) and she recently presented to her Year 2 class at PLC Sydney, her reasons for selecting cycling as the best sport. When I read it, it seemed to me that Ava’s reasons were not dissimilar to many female cyclists. I particuarly like the bit about how she and her friends don’t have to hang out with the boys! Enjoy…. In my opinion cycling is the best sport. The type of cycling I’m going to talk to you about is bike racing. It can be enjoyed by both young and old. There are two types of racing you can participate in; road racing and track racing at a velodrome. Here are three reasons why in my view cycling is the best sport. 1. You can keep yourself fit and happy. Cycling is exercise and doing exercise makes you fit and healthy. You become a happier person because you are doing something active and spending less time playing on the computer and watching television. Healthy body, healthy mind. 2. Through participating in cycling you have fun and make new friends. By joining a cycling club you meet great people and form new friendships. I belong to a cycling club called Lidcombe Auburn Cycling Club and I am in a team called the Pixies. It’s fun because the Pixies are an all-girls team and we don’t have to hang out with the boys. You travel as a club when you race in different parts of the state. A lot of the time the team stays at the same motel. You get to spend more time with your team mates by playing. When we race we compete against each other, but at the end of the day we are all good friends and we respect each other because of the strong bonds you form. 3. Cycling gives you lots of opportunities to win medals, trophies and prize money. There are different grades in cycling, so people with different abilities have opportunities to try and win something, no one is excluded. Winning isn’t everything, but if you do win something it’s a good reminder to tell yourself that you did well. It makes you feel good about yourself and gives you confidence. There are lots of opportunities to compete at an elite level like the Olympics. In my opinion cycling is definitely the best sport and I hope you will have a go, because if you do, you’ll find out how much fun and exciting it really is. Way to go Ava! I’m so happy you enjoy cycling and have lots of other girls to cycle with. I hope lots of girls in Australia will have this opportunity too. Delight to read this Ava! Here in Jacksonville Beach, FL, US, I cycle with other women for all of those same reasons! We range in age from 52 to 64 and are training for the Bike MS150 (that’s 150 miles), to raise money for multiple sclerosis. We like leaving our boys at home and riding together to train for this event. Keep up the good work encouraging others to take up cycling!